Editor's note: This is one of the New West picks featured this week from the Big Sky Documentary Film Festival. Bookmark www.newwest.net/bsdff to keep up on all coverage before and during the festival. Click here for New West writer Tad Sooter's interview with filmmaker Brian Liu. Disarm, one of the films in the documentary feature competition at this week's documentary film festival (screening Thursday, Feb. 16, 10 a.m.), takes us around the world, through Afghanistan, Bosnia, Columbia, Thailand, Iraq, and Burma showing the devastation of the anti-personnel landmine. Landmines are cheap to produce, easy to install, and are very effective weapons. However, months, years, and decades after a war is over mines continue to kill civilians worldwide. Watching this brings a new awareness of the extent of the threat landmines pose. Some of the facts are mind-boggling: The biggest industry in Afghanistan is the manufacture of prosthetic legs -- partially because of landmines. And yet still to this day, more than 40 countries have not agreed to a total ban on the use and production of landmines. The United States is one of them. While being very informative, this film is also very well made. Smooth camera operation, clean audio, and tight editing make Disarm very �watch-able.� The cinematography is absolutely stunning, from aerial shots of Afghanistan to helmet cams of de-miners in action. This is even more impressive knowing it's filmmaker Brian Liu debut in the medium. While often the scenery is beautiful, there is plenty to make your stomach turn and your heart reach out. We are given a front row seat to the ongoing devastation of anti-personnel landmines. Disarm was created by Mary Wareham of Next Step Productions and Liu of Toolbox DC. They take their cameras and experiences out into the mine-infested regions of the world, illustrating the tedious work necessary to achieve a landmine-free world. They travel to places such as �the Devil�s Garden� in the Shomali Valley north of Kabul, where they meet one man who planted some 3,500 mines himself, and yet in an ironic twist of fate he is now helping to de-mine the area. And then off to the Columbian jungle where a seemingly unending civil war has left a civilian population decimated by landmines. While the film's overarching messages are subtle and organic, one point stands out: It is going takes more than just a piece of paper to rid the world of landmines. Stockpiles need to be destroyed and governments like those in the U.S. and China need to agree to stop putting them in the ground. Disarm is an eye-opening journey into the hearts and minds of the peoples who are most affected by the devastation of anti-personnel landmines. 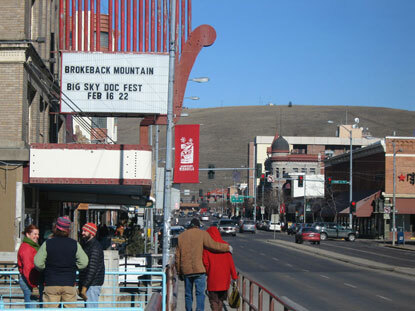 Liu will be in Missoula for the film festival this week is one of the panelists discussing social issues documentaries in an entertainment-driven market. The panel is Sunday, February 19th at 1:00 p.m. parkside, downstairs in the Wilma. It's free and open to the public. Click here to hear Liu's interview with Tad Sooter on finding new ways to document social issues in film.